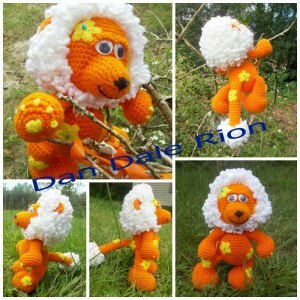 The Amigurumi Abayomi Lion CAL is over and you've all shared your finished lions. Now it's time to vote for your most favourite lions. Lion entry with the most votes wins, and it's crocheter will receive a FREE copy of the Abayomi Lion PDF pattern, along with several FREE crochet patterns for her collection, and a special discount to my shop! 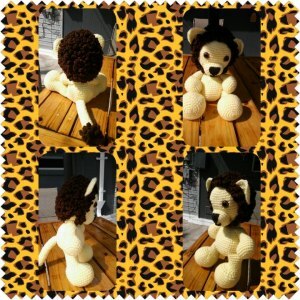 All other participants will receive a special discount in addition to a FREE copy of the Abayomi Lion PDF pattern too. You can vote THREE times per DAY. This means you can vote for one lion three times each day, or you can divide your votes as you like. Then share this link to get more votes for your favourite lion(s). Come back daily to cast more votes. Voting ends Friday Night (October 23rd, 2015). If you'd like to vote for more than one lion, check up to three of the boxes in the top-left corner above your favourite lion entry. Then, click on the VOTE button below the entries. You will be taken to the results page. To return to the voting page, click the back arrow on your browser. If you'd like to vote for one lion more than once each day, check the box in the top-left corner above your favourite lion entry. Then, click on the VOTE button below the entries. To vote again, return to the voting page by clicking the back arrow on your browser and repeat the process again. If you have any questions about voting, you can comment below, connect with me on facebook, or contact me here through my form. Vote up to 3 times each day for your favourite lion(s)! Vote for Your Favourite Lions! Good luck everyone! Winner will be announced and prizes will be sent on Monday, October 26th, 2015.